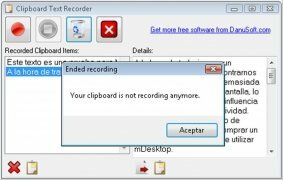 The Windows clipboard isn't know due to the many options that it offers, because it only allows to copy an object or text at a time. But what happens if you want to use a text more than once? 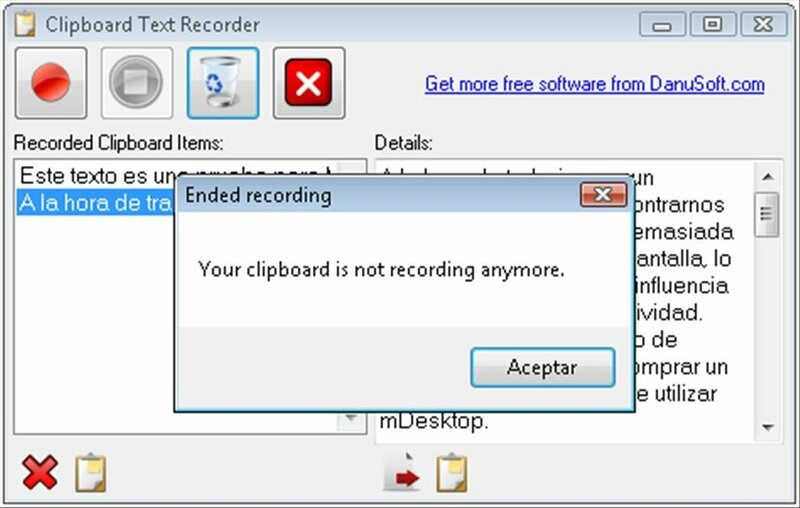 The solution is called Clipboard Text Recorder. 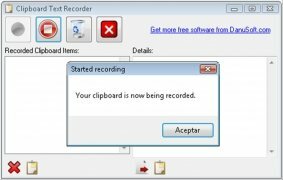 The main functions of Clipboard Text Recorder is to offer the user a space in which to store the texts copied to the clipboard to be able to use them even when the clipboard has been used for other actions. 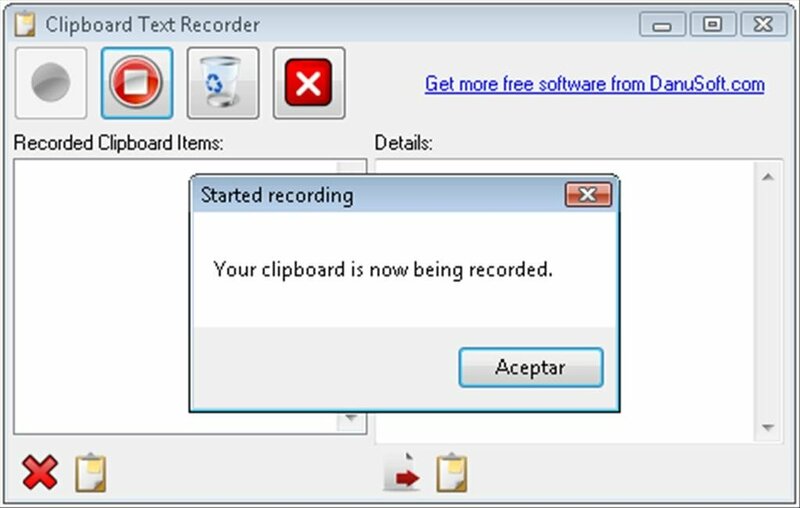 How Clipboard Text Recorder works is very simple, as soon as its recording function is activated it will start saving the texts copied to the clipboard one by one, showing the beginning of each text on one side of the window, and if a text is selected, the full contents on the other. 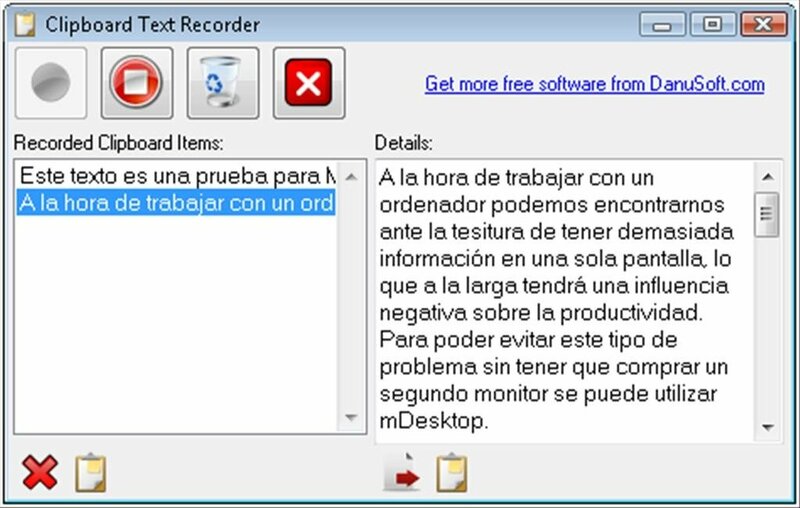 To be able to use the text anew all that will be necessary will be to select it and click on the copy to clipboard button to have it available again. Download Clipboard Text Recorder free to improve the features of the Windows clipboard.